Mac users running macOS Sierra 10.12.2 are being urged to avoid using Preview to edit PDFs until Apple fixes several bugs in the app that can cause corruption issues in the document format. The recommendation comes from TidBITS publisher Adam Engst. Writing on the online Apple newsletter website, Engst backs up fellow developer Craig Landrup's claim that Apple's decision to rewrite the PDFKit framework for macOS 10.12 has broken basic functionality that PDF-related developers rely on, such as compatibility with ScanSnap and Doxie scanners. It pains me to say this, speaking as the co-author of "Take Control of Preview," but I have to recommend that Sierra users avoid using Preview to edit PDF documents until Apple fixes these bugs. If editing a PDF in Preview in unavoidable, be sure to work only on a copy of the file and retain the original in case editing introduces corruption of any sort. Apple previously removed functionality in its iWork suite for Mac to conform with iOS, but re-introduced most of the missing features in a later version. Whether Apple plans to do the same with an update to Preview is still unclear. Meanwhile, until Apple fixes the issues with the native Mac app, Engst recommends Smile's PDFpen as an alternative for PDF manipulation of all sorts, with Adobe’s Acrobat DC being a more expensive option. They really don't give a **** about macOS anymore. I think they even won't make any major upgrades in the near feature. They changed the name so it feels right with the other products, copied everything from iOS that makes you stick to iCloud and that's it. 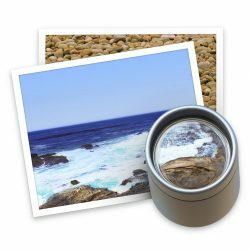 What was the last time you were really impressed by a new macOS feature? Now even those features start to become buggy and non-working. Give them a break!! I mean, they've got both developers working on it. No, Apple did NOT put the missing features back into the iWork suite. Correct your article!!! Also, this is another example of Mac OS suffering for the benefit of the iOS roadmap. Apple need to get their collective heads out of their leadership's asses. I've stopped at El Capitan for the time being. I have very little invested in cloud services, and sadly nothing else Sierra offers interests me. This is a very minor issue and will be fixed as has been said elsewhere. There is nothing to worry about here. Corrupt PDF forms filled out in an education or business environment doesn't seem minor to me, actually seems catastrophic. Really is looking like Apple want to go all in for iOS. OS X days are numbered imo. As a previous 10 year Mac user I'm more and more happy every day that I recently ditched Mac and switched to Windows 10. Not everything is perfect (of course), but many things are really awesome and I definitely don't get the constant feeling of being on a dying, neglected platform. My shiny new iPhone 7+ is probably my last Apple product. Because Mac was THE central Apple product for me. Without it I have no reason to sick with the pathetic, greedy and lazy Apple anymore. I might stick with iPhone, but because I'm definitely dumping all Apple apps/services - I'll stick around ONLY if iOS 11 allows to choose default apps from other superior companies. If not - good bye. Yes, I know, I won't let the door hit me. An operating system bug that can permanently corrupt PDFs is a minor issue? One which was identified over two months go while the OS was sill in beta? I'm honestly surprised that they shipped something as broken as they did. Did they not learn from the whole discoveryd/mDNSResponder fiasco?